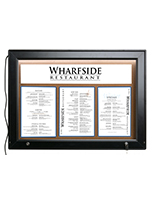 These Outdoor Sign Supplies With Rubber Gaskets Are Designed to Keep Water Outside and Images Safe Inside! 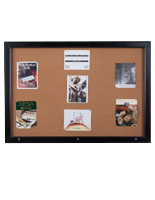 Purchase Sign Supplies With Confidence From Our Fast Ship Warehouse! 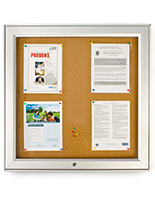 Sign supplies, cork boards, and outside bulletin boards enable you to exhibit notices and ours can do it in all sorts of outdoor conditions! 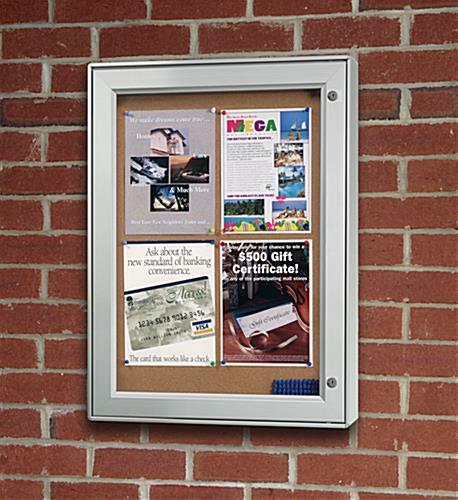 These sign supplies' rubber gaskets assist to prevent moisture from getting in and will be able to handle the outdoors. 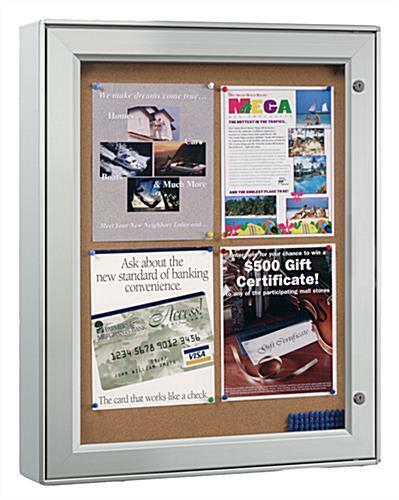 These outside sign supplies with metal frame can maintain four (4) 8 1/2" x 11" pages. 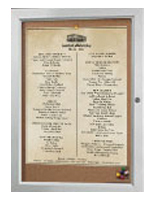 Sign supplies can be utilized for notices or critical info. 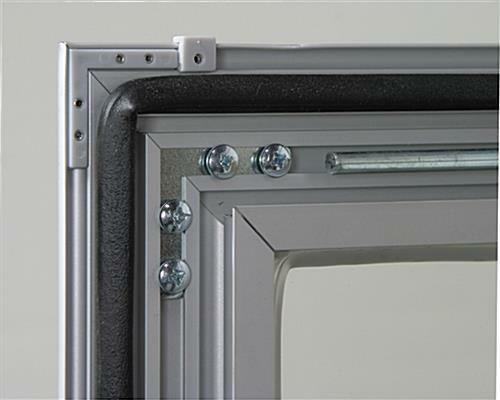 These products can be affixed two different methods; hinges on the right or left, giving you diversity with regards to installment. 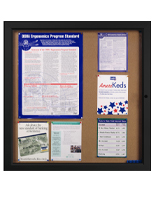 Our sign supplies are priced right as compared with other more highly priced sign supplies and pin boards. 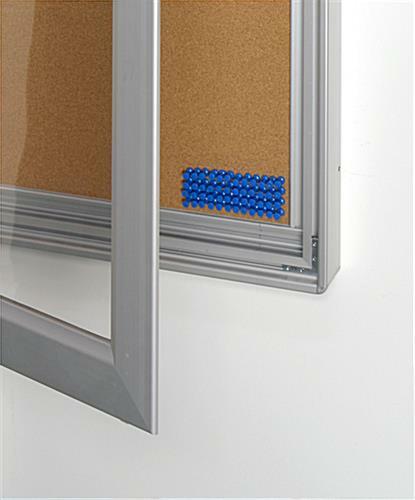 A set of pushpins is also provided. 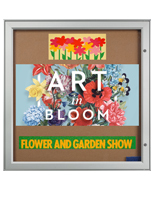 These premium sign supplies for sale and other notice boards can be purchased online at this website – view sign supplies online here! 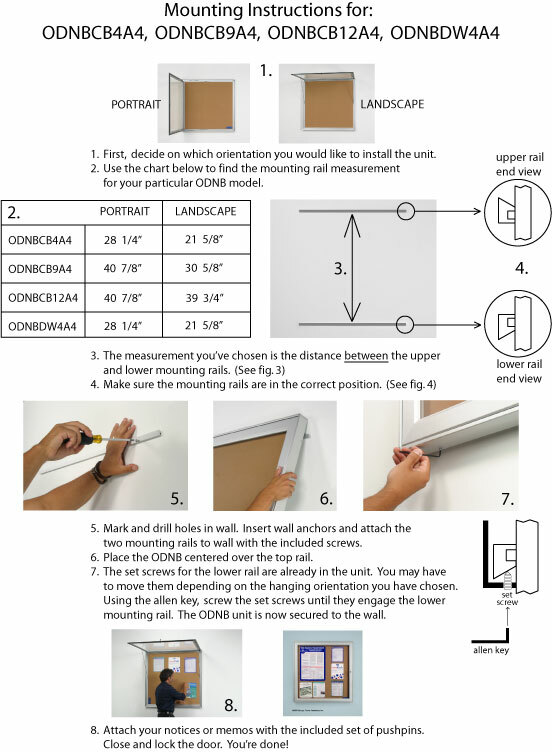 Overall: 23-1/4" x 29-3/4" x 2". 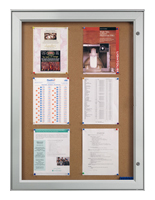 Click here to view tackboards and hanging options.